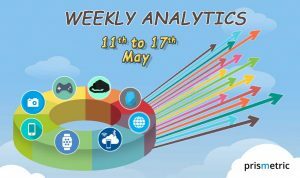 Prismetric’s weekly analytics about the latest trends on Wearables, Android OS, Google Areo, Marketing, FB messenger, Android Wear, MS cloud and more. 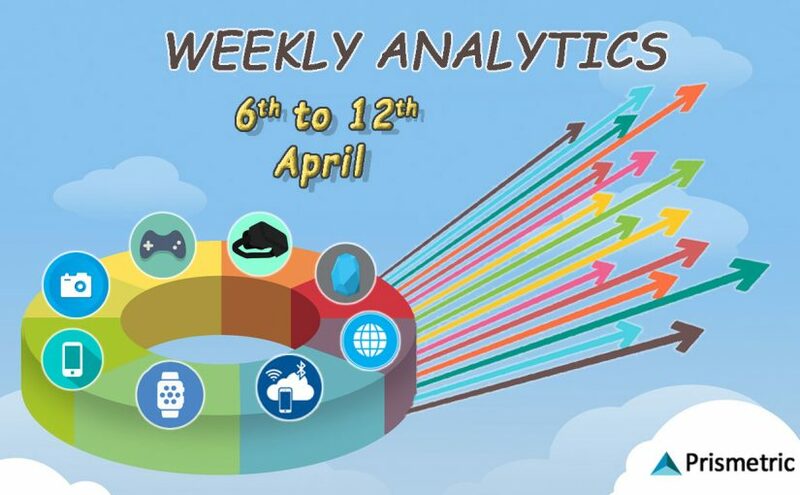 We are in with the 40th edition of Weekly analytics from the world of mobile technology and just like the previous editions, this one too is filled with exciting news and analysis to the brim. The past week saw some innovative changes in fields like wearable technology, Android OS, FB messenger, Android Wear, Google, Microsoft cloud and marketing. There is a strong feeling in the world of technology that Wearables can be the future of amazing healthcare procedures. 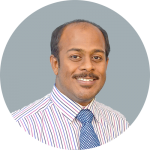 Right from initial consultation to proper cure, wearables can assist the doctors as well as the patients so that there will not be any lag in providing in the required medical attention. With such exciting prospects around us, let us waste no time and get the things rolling! Azure, Microsoft’s hybrid cloud approach will be beneficial for the enterprises. It will allow them to use public cloud computing services for their application at their own data centers. Microsoft says that in the present times, almost 80% of the companies say that, they want to use the hybrid cloud approach as it will have all the new tools and resources. Also, the hybrid cloud can save them around 30% to 40% of cost production. Equipped with all the latest technology, Android wear 2.0 is all set to roll out and predicted to be brighter and more prominent than the previous version. The new devices, devoid of the glitches are designed to provide the best customer experience to the users and also be more customer friendly. Google has roped in several biggies like Tag Huer, Fossil, etc. so that they can reach more people. In order to enhance the messenger’s feature, Facebook has included Payment for its Android version that enables payment among the group of users. This feature will make the users to easily split the bills or send money to their friends via group conversations. The procedure is very much simple, fast and secure. Moreover, just with a simple tap, there will be a plethora of payment options for you. Google is getting itself into the restaurant and home services business and has launched an app Areo in some parts of India. The app was launched on the Play store on April `12, 2017 and will currently work in the cities of Mumbai and Bangalore in India. The idea behind the app is to integrate food delivery and home services into a single app so that the customers have no fuss in using the services when needed. Since its inception marketing has come a long way and is a defiant term in defining the future of any business. But the basic rules haven’t changed and customers still remain the key factor to it. Therefore, it is important for the marketers to understand the customer psychology before bumping into their marketing strategies for optimum results. Wearables are often termed as a technology for the future as it is predicted to be big as the time progresses. The market is expected to grow at a rate of 18.4% and reach $37.39 billion by the year 2022. Factors such as increasing usage of smart technologies have exponentially risen the importance of wearables as they are easily accessible and can be carried anywhere. Google’s Android has edged past Windows to become the most popular mobile operating system in the world. The stats show that the market share of Android is 37.93% which is slightly higher than Windows which is on 37.91%. The stat is the mark of improvement that Android has shown since bursting on the scene for the first time in 2012.